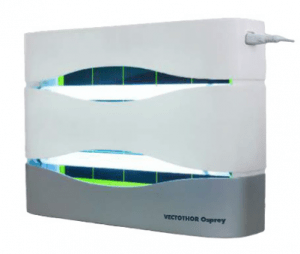 For a safe and efficient treatment, we import and install high standard flying insect exterminators from an Australia under the brand name Vectothor. These fly traps catch flies, midges, moths as well as some mosquitoes. Our Operating Manager, a certified electrician from France, can install it safely for you. Alternatively, fly control can be carried out using micro-encapsulated insecticide to treat all flying insects, including flies. The effect is very effective and residual during 2 weeks. Nevertheless, this kind of treatment is not recommended in food production areas (kitchen, food storage). The treatment against flies can also be carried out with the setting-up of bait stations containing granular composed of sexual pheromones, food and a powerful insecticide. The attracted flies consume the bait and die within minutes. Use of this product in bait stations is approved in integrated pest management programs. We can come anywhere in Siem Reap Province for a diagnostic, a quotation and treatments.